As the mother of a newborn baby, I am always cautious about what products I choose to use for my baby girl when giving her a bath, applying lotion to her delicate skin and washing her clothes. 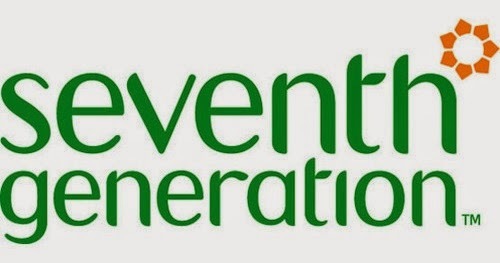 Seventh Generation offers many options when caring for your baby all of which are made with extra virgin olive oil and ingredients that are plant and mineral based. I always try to use products that are natural and that use the least amount of chemicals as possible. When it was bath time I opened up the bottle of seventh generation baby bubble bath and was immediately impressed with the light scent. It was a nice and refreshing smell that was not overpowering as some baby products tend to be. The bubble bath and the shampoo and body wash are all labeled as tear free which is also extremely important to me when selecting bath products for my precious girl. Following her bath, I always apply lotion to my daughter to ensure her skin remains moisturized at all times. The Seventh Generation baby lotion also had the same light scent and it was not greasy or oily. I loved the way the bath and skincare products made by baby girl smell!! When it comes to laundry detergent I can be quite picky and often use one specific brand in one specific smell. I was a bit hesitant to sample a new detergent. I first tested the seventh generation blue eucalyptus and lavender laundry detergent on towels and bed sheets. Each load came out clean and with a more natural and fresh smell. My husband does not care for laundry detergents that leave his clothes with a strong scent as it tends to bother him after a short while of wearing his clothes. My husband was also impressed with the results of washing his clothes in the seventh generation laundry detergent as he requested we wash his clothes in this detergent from now on. I was also very impressed with the price of these natural products. They are inexpensive and affordable for a family on a budget. 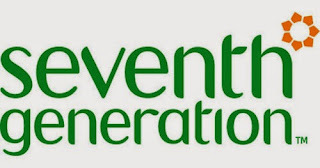 I will definitely continue to use the Seventh Generation baby products along with the laundry detergent. I also plan to check out the cleaning products offered by Seventh Generation.